Beauty Treatments - a regular skin care program is vital to maintaining healthy, vibrant skin, which in return enhances your self-image and gives you more confidence. Corporate Program - show your employees that you care about their health and well-being. Treat them to a chair massage. Swedish – this massage consists of five types of manipulation: effleurage, petrissage, friction, tapotement, and vibration to promote relaxation, improve circulation, relieve tension, and expand the range of motion. Deep tissue massage – works though muscle tension layer by layer, reaching the deeper muscles where chronic pain and tension may be released. Deep work is often slower than regular body work, allowing the soft tissues to open at deeper levels. Sports massage – deep tissue strokes, muscle massage, releasing points, and joint movements are designed to correct harmful movement patterns and prevent tissue damage during exercise. Acupressure – light touching on the specific pressure points following specific meridians to balance and energize the functions and organs of the body. 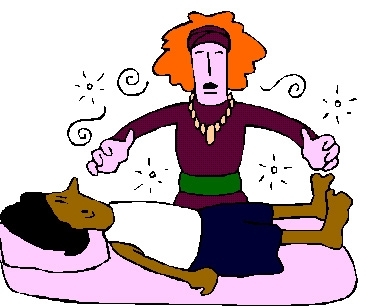 Shiatsu – pressure with the thumb and working with the meridians while increasing power supply to the body. Foot/hand Reflexology – is a science that deals with the principle that there are reflexes in the feet relative to each and every organ of the body. Stimulating these reflexes properly can heal in a natural way, a type of preventative maintenance for the body. For rates, please contact Galina Kagan at 650-245-7116.